War-date Autograph Document Signed “Thos. 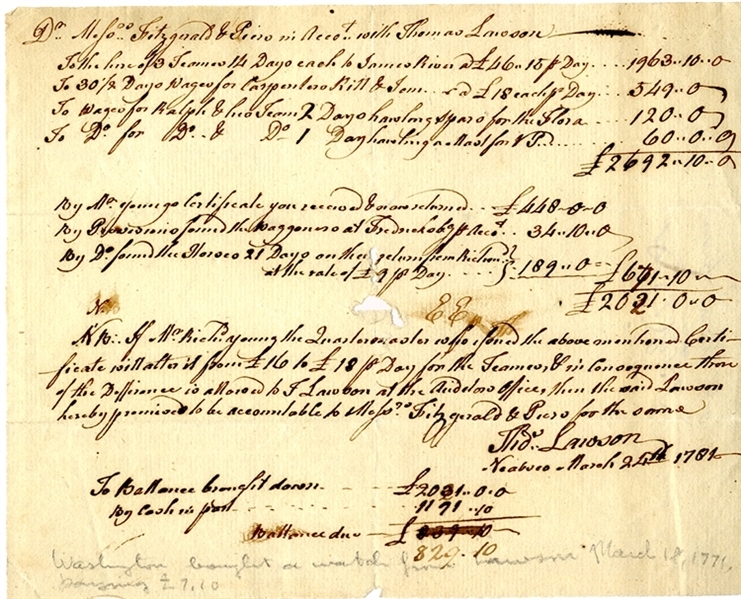 Lawson, March 24, 1781,” and records a bill to Fitzgerald & Piers for the hire of teams and wagons, carpenter wages, etc. Issued by authority of Quartermaster Richard Young.